Below you’ll find our suggestions for where to pick up cheese, sweets, wine or other picnic provisions for outdoor dining at either Parc des Buttes-Chaumont or Parc de la Villette. La Boulangerie par Véronique Mauclerc – Organic, slow-risen loaves baked in one of only four wood-burning ovens in Paris. 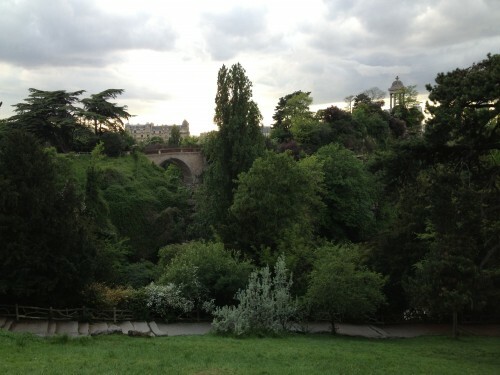 Fromagerie Secrétan – This cheese shop is well-located for Buttes Chaumont picnic needs. Pascal Beillevaire – A producer of cheeses, excellent butters and other dairy treats. La Boulang’Eury – This bakery was the third place finisher in the 2009 Grand Prix de la Baguette. Au Conservatoire – Olive oil impresario Cédric Casanova’s épicerie. L’épicerie 104 – A small organic food shop with natural wines. Quedubon – You can call Quedubon a bistro or a wine bar or a cave.